You may be able to use your university, college or lab login ID to access gw-astronomy.org services. You can use the drop down list to see what institutions we can support, but it is probably easier to search for your institution using the search box. Type the name or abbreviation for your institution into the search box and then select the correct option and click the Log On button. 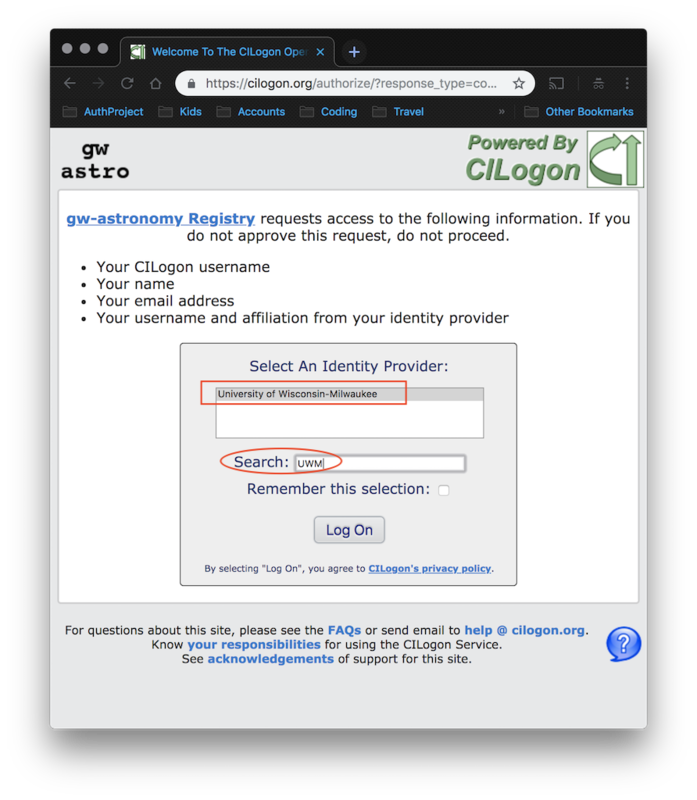 If it seems strange to login to gw-astronomy.org using your institutional username and password, or you want to know why your institution wasn't in the menu, you can read more here.